While all the pre-match attention was on one ageing superstar it was another who stole the full-time headlines. In helping to hand Sydney FC a lifeline, Brett Emerton may have salvaged his own season in the process. All the pre-match talk before Sydney FC’s showdown with table-topping local rivals Central Coast Mariners was whether marquee man Alessandro Del Piero would sign on for another season in the harbour city. Sadly for the Sky Blues, Del Piero’s influence on the turnstiles has largely been wasted by Sydney’s inability to string together results, particularly at home. Their 1-0 win over the Mariners was their first of the season at Allianz Stadium and it wasn’t secured until Emerton’s header a minute from time. The former Blackburn Rovers star has struggled to have an impact this season, so much so that there was furtive talk about Emerton’s place in Frank Farina’s line-up being in jeopardy. 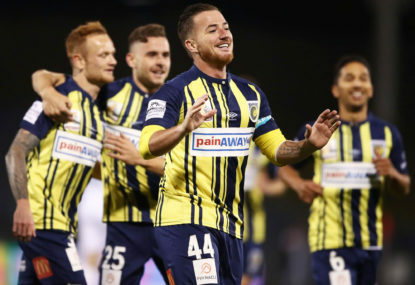 But after starring forAustralia during the recent East Asian Cup qualifiers, Emerton has quietly gone about trying to make a difference to his struggling side and his last-minute header against the Mariners nominally keeps Sydney in the hunt for a finals place. 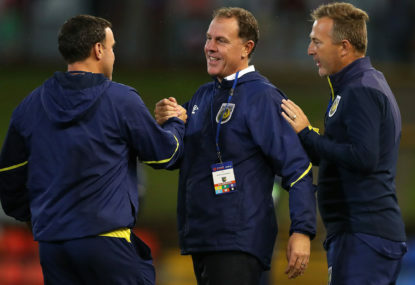 Emerton is not the first Australian international to have returned from Europe only to struggle for form in the A-League, joining the likes of Tony Vidmar, Craig Moore and John Aloisi in finding it difficult to make the transition back to the Australian game. At times he has been make to look ordinary by the limitations of the players around him, highlighting the gulf in class between the average English Premier League player and those first stepping up to A-League level. That’s where classy Del Piero’s on-field influence has proved so vital, and the 38-year-old has repeatedly proved he still has what it takes to perform in the A-League. His highlights reel already includes that spectacular free-kick against Newcastle, his derby winner against Western Sydney and a double in a losing performance away at Brisbane. But aside from his goals it’s the quality of Del Piero’s distribution which has set him apart and if the Italian can continue to forge a partnership with pacy on-loan Panamanian striker Yairo Yau, the Sky Blues may still have a chance of sneaking into the top six come the end of the regular campaign. 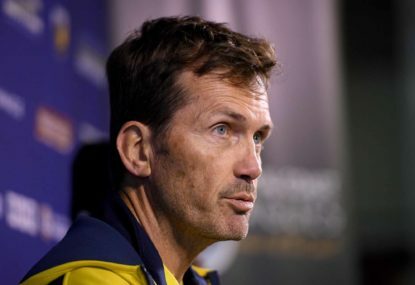 Emerton has urged his team-mates not to “get carried away” following the win over the Mariners but with Melbourne Heart and Newcastle Jets both losing in midweek action, suddenly Sydney can travel to Hindmarsh Stadium to take on Adelaide United with a spring in their step. 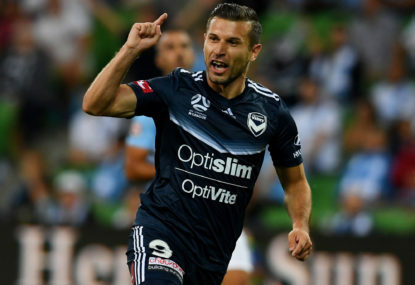 They’ll be even happier if Del Piero’s contract talks are resolved and on the basis of what we’ve seen so far – even allowing for his niggling injury concerns – it would be a crying shame if the former Juventus star does not pull on a Sydney FC jersey again next season. For all new coach Frank Farina’s talk about “fighting spirit,” it’s veterans like Emerton and Del Piero who have occasionally shown Sydney some much-needed glimpses of class in what has been a disjointed and decidedly disappointing campaign to date. It’s too early to talk of a season-turning win, but victory over Central Coast gives Sydney FC a base from which to work from as they travel to a suddenly out-of-sorts Adelaide on New Year’s Eve. 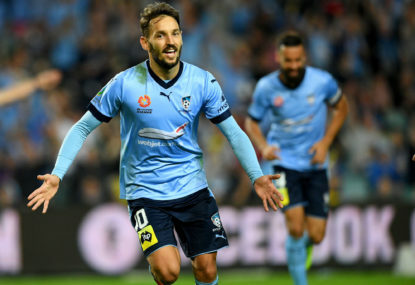 And while Emerton was the match-winner against the Mariners, it’s Del Piero who has proved the most adept at unlocking opposition defences and for that reason the Sky Blues should do everything within their power to convince the Italian to go around again next season.